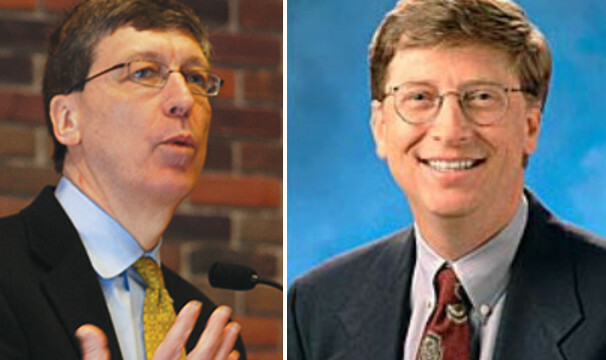 Mark S. Smith and … early 21st-Century Bill Gates | Amazing Lookalike! On the left is Mark S. Smith, Skirball Chair of Bible and Ancient Near Eastern Studies in the Department of Hebrew and Judaic Studies at New York University. On the right is Bill Gates, co-founder of Microsoft, pictured here in the early 21st Century.